If you work in SEO, content marketing, or any industry related to PR, you shouldn’t be a stranger to infographics. Combining visuals, information, and effective design, companies have recently been using these pieces to present data to their readers in an easy to digest manner. Some would argue these pieces are just a passing fad, but – when done correctly – they can present information in a compelling and interesting way. Moreover, they are usually a more effective means of sharing data than a well-written article. Although PR professionals can greatly benefit from using infographics, understanding graphic design programs and promoting these to an audience might seem like an uphill struggle. Fortunately, this article is designed to make this process as simple as possible. While infographics might seem like a recent fad, these designs have actually been around for decades. The Huffington Post has listed several instances where publications have used them to great effect. For example, it mentions a graphic The New Yorker produced in 1976 entitled ”View of the World from 9th Avenue” but it could be argued that the history of infographics dates back even further to Da Vinci’s designs in the 15th and 16th Century. 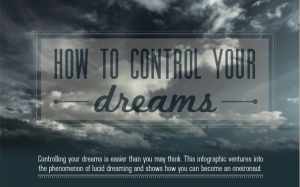 Regardless of their origins, the popularity of infographics has skyrocketed in recent years. According to Graphs.net, search volumes for these designs have increased by more than 800% between 2010 and 2012, while – since 2007 – the usage of visual data has grown by almost 1000%. It allows readers to easily understand your key message. If you want to promote several facts about a brand, a colourful infographic is one of the best ways to spread this message. It stands out from other messages. Reportedly, approximately 92,000 articles are uploaded to the internet every day. Therefore, you need a message which will stand out from the others. Infographics allow you to do this. It has the potential to be shared worldwide. Not only do infographics have the potential to go viral, but their message can easily be spread to other countries. It allows PR professionals to create brand awareness. Creating an infographic with the company’s logo allows users to quickly associate it with a product. Therefore, this results in increased awareness. How can I get people to read my infographic? Once you’ve created an appealing infographic, filled it with lots of useful information, and made sure it accurately conveys your message, you must promote it to the right people. Although this may seem like a daunting task, there are a variety of ways to make sure your design gets read. Journalists and bloggers want to expand their readership and give their audience something which would interest them. Consequently, if you are creating an infographic which falls into their subject area, you should pitch this design to them, highlighting key areas which would be beneficial for their readership. 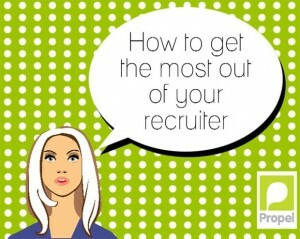 For example, Propel London, a digital recruitment agency, created a series of infographics aimed at providing useful advice to jobseekers. Consequently, the firm reached out to The Undercover Recruiter and Social Talent – both firms specialising in helping jobseekers find their ideal role – and these companies promoted the agency’s advice among their readers. Similar to researching relevant bloggers and websites, professionals should identify important people on social media willing to spread their message. This can be done by researching people with a substantial amount of followers who routinely comment on a specific area. Obviously, asking these people to immediately promote your infographic is a bad idea. Instead, research their interests and activities and build a connection to these individuals. If you have a message which would appeal to their subscribers, they might be willing to promote your infographic. 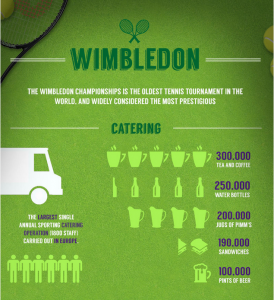 For example, PR agency PHA Media created an infographic detailing statistics about Wimbledon. Using the organisation’s contacts, the firm persuaded Russell Scibetti – a sports business professional and blogger – to tweet about the infographic as well as add it to his Pinterest board. Russell’s Twitter account had more than 8,000 followers and this small action potentially allowed PHA’s infographic to be seen by thousands. 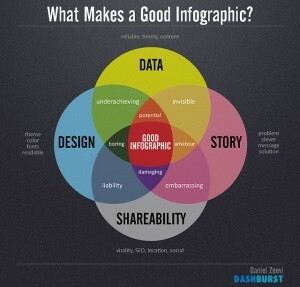 Just placing your infographic on a website and adding some share buttons will not cut it. You need to promote it yourself. Furthermore, if your friends, family, and contacts are willing to promote your materials, then do so. Pinterest is arguably the most effective medium for infographic sharing. According to social media education company Social Fresh, more than 80% of the pins on this network are repins and the number of people using the site has increased dramatically since 2011. In addition, the organisation claims that almost 70% of users either have purchased or wanted to buy an item after seeing it on Pinterest. Consequently, even placing a single photo on Pinterest can eventually snowball – resulting in thousands of users seeing and recognising your brand. Instead of being just another piece of content, it can be argued that an infographic is more like a living thing. It sounds strange, but it requires constant attention and monitoring throughout the months. As this case study from NeoMam Studios demonstrates, one of their infographics finally stopped attracting attention after eight months – generating more than 200 backlinks in the process. Using infographics as a PR tool can be very effective, helping to quickly promote brands as well as individuals. Although the information mentioned here should help spread your message, if there are any infographic sharing tips you would to divulge, please mention them in the comment section below.